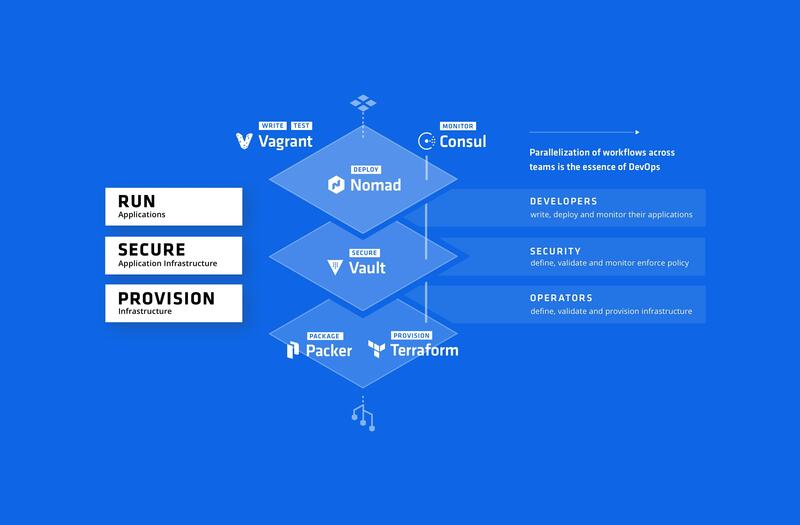 Just as we defined our technology design philosophy with the Tao of HashiCorp, we've defined how software teams across development, operations, and security can increase productivity and work in parallel with DevOps Defined. With these goals of DevOps in mind, it provides our technology development with a clear direction — build tools that empower development, operations, and security professionals to be more productive. Read the full DevOps Defined guide to learn about the seven elements of application delivery, how to organize a DevOps organization to increase application delivery, and how to use technology to empower development, operations, and security professionals within that organization.